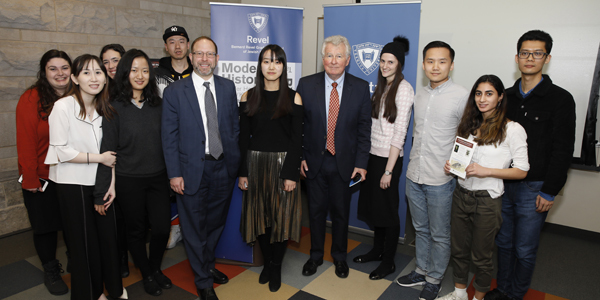 “The Chinese-Jewish Conversation” took an interesting turn on Tuesday, March 12, 2019, at an event held at the Israel Henry Beren Campus sponsored by the Bernard Revel Graduate School of Jewish Studies, the Katz School of Science and Health and the Provost’s Colloquium Initiative. 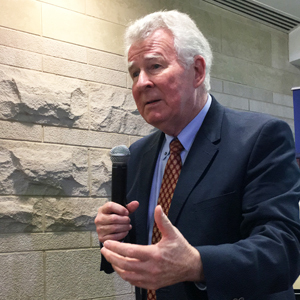 Dr. Roger Ames, a leading scholar of Confucian philosophy and the interpretations of classical texts from Peking University in China, delivered an invigorating lecture to over 100 attendees on Confucian role ethics and the multiple ways they differ from the worldview encompassed by Jewish and Christian theologies and Western philosophical principles. 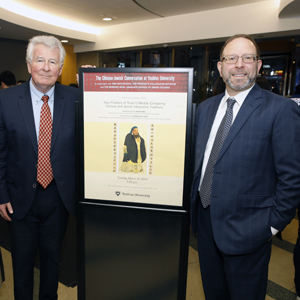 In introducing Dr. Ames, Dr. Mordechai Cohen, professor of Bible, associate dean Bernard Revel School of Jewish Studies and divisional coordinator of academic Jewish studies, noted Yeshiva University’s longstanding tradition of “engaging the world around us through the rubric of Torah U-Madda [Jewish and general learning]” and emphasized the importance of “exploring the Chinese and Jewish traditions comparatively” as global networks and connections abound and the number of Chinese students at Yeshiva University expands. In “A Challenge to the Ideology of Individualism,” Dr. Ames began by stripping away the Christian overlay that generations of missionaries had used to make the writings of Confucius feel familiar to a religious audience that believed in a single divinity located in a place called heaven and who exercised control over the fates of human beings. 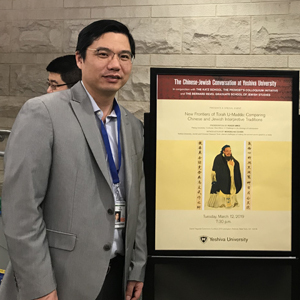 The reason for deleting this veneer, said Dr. Ames, is so that we can come to the texts in all their strangeness and originality and understand them in their Confucian context. Another example concerns the idea of “the way,” which in Chinese is dao. The Christian notion of this comes from John 14:6: “I am the Way, and the Truth, and the Life.” In Christian religiousness, the path to salvation is already laid out, and the individual is obliged to follow that path to its expected end. 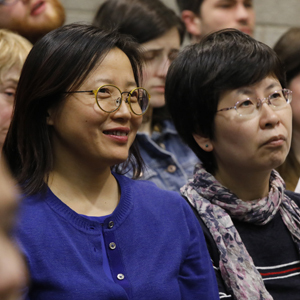 “Family” is one area where Western and Chinese traditions do overlap, but a major difference concerns the relationship between the family and the authority that establishes social order and governance. For Westerners, authority is grounded in laws derived from religious and secular principles external to the family, and the family follows these laws in carrying out the work of civilization. For the Chinese, the social authority for achieving harmony through governance derives directly from family relations, from both the “cultural body” of the family, the repository of the values transmitted forward generation by generation—what Dr. Ames called “embodiment”—and the family’s physical bodies, whose interrelationships keep the cultural body whole and intact. What is that contribution? For Dr. Ames, the world in which we live is too often focused on winners and losers, on playing what he called “finite games.” The challenges presented by climate change are one example of humans playing finite games regarding resources and dominance. To move toward playing “infinite games,” which are generative in nature and call for a continuous interplay of renewable resources, we need different concepts about what makes humans human and what constitutes a viable world order. 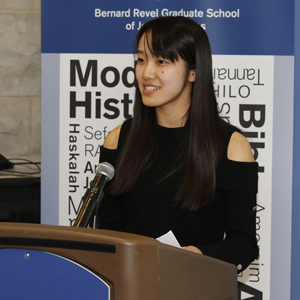 For more Revel events, go to https://www.yu.edu/revel/events-calendar.